Cash-flowing real estate has become an increasingly popular investment sector. Leasing is where real estate investors make money. A seemingly simple lease has many “hidden” provisions that impact cash flow and profitability. Our team is focused on securing the best lease terms for you while ensuring your business goals are achieved. We represent landlords and tenants across the country on a daily basis in a wide variety of industries. Achieve your objectives with confidence and maximum efficiency. We tailor our representation to protect your interests in an efficient and cost-effective manner, commensurate with the nature of the property involved, your expectations, the size, term and complexity of the lease. We represent FORTUNE 500® clients, value-added investment funds, and a wide variety of property management companies, real estate investors, end users, and commercial clients. Our attorneys work diligently to stay abreast of the latest industry trends and leasing strategies. Outside counsel to CVS in connection with the leasing of new retail store locations in 30 states nationwide. Among a host of elements involved in such representation, our attorneys prepare and negotiate ground leases, reverse build-to-suit leases, turnkey leases, and inline leases. Our real estate group handles all leasing work for Patriot Place, a multi-use development adjacent to Gillette Stadium. Patriot Place is a unique shopping center, containing retail, hotel, medical, restaurant, and office space with tenants ranging from large retailers such as Bass Pro Shops, Trader Joe’s, and Bed, Bath & Beyond, to upscale restaurants such as Davio’s and Bar Louie, to unique entertainment venues such as Splitsville’s, 5Wits, and Showcase Cinema De Lux. In addition to the leasing work we do for The Kraft Group at Patriot Place, the firm also represents them by providing support for their operational activities, including guidance and support with respect to their environmental matters, solar programs, and telecommunications contracts. Ongoing representation of a large financial institution in connection with sale-leaseback transactions for more than 500 properties (and over $1 billion in sales), which involves leasing and lease restructuring of retail bank branches and ATM locations, structuring complex leases of regional office locations and data centers, and leasing of excess properties. Representation of The Davis Companies as the landlord for all leasing work in The Union Trust Building, which is located in Pittsburgh, PA. The building was acquired out of bankruptcy and is being completely renovated and rehabilitated in accordance with restrictions imposed by multiple historic preservation commissions, including the National Park Service, due to its historical and architectural significance. Our representation includes negotiations for all leases in the building, which include retail, restaurant, and office leasing. Ongoing representation of Cumberland Farms in the ground leasing of numerous properties for the development of and construction of new retail stores in Massachusetts, Rhode Island, Connecticut, New Hampshire, Maine, Vermont, and New York. In addition, we also represent Cumberland Farms in connection with the lease or other disposition of numerous existing stores or properties that have been deemed to be surplus or otherwise no longer desirable to retain. Ongoing representation of Equus Capital Partners Ltd., a private equity fund that manages over 24 million square feet of office, retail, and industrial properties in Massachusetts and nearly 13,000 apartment units in 53 multi-family communities across the country. Our representation has included the leasing of office parks, industrial properties, and retail properties throughout the Commonwealth of Massachusetts. Ongoing representation of Equity Office Properties (an affiliate of the Blackstone Group), a real estate asset and investment company, which owns approximately 45 million square feet of Class A office buildings throughout the country. Our representation includes the leasing of office buildings, office parks, and retail properties in Massachusetts. Ongoing representation of KeyPoint Partners LLC (KeyPoint), an independent commercial real estate investment and management firm that manages commercial, retail, and residential properties across the country. 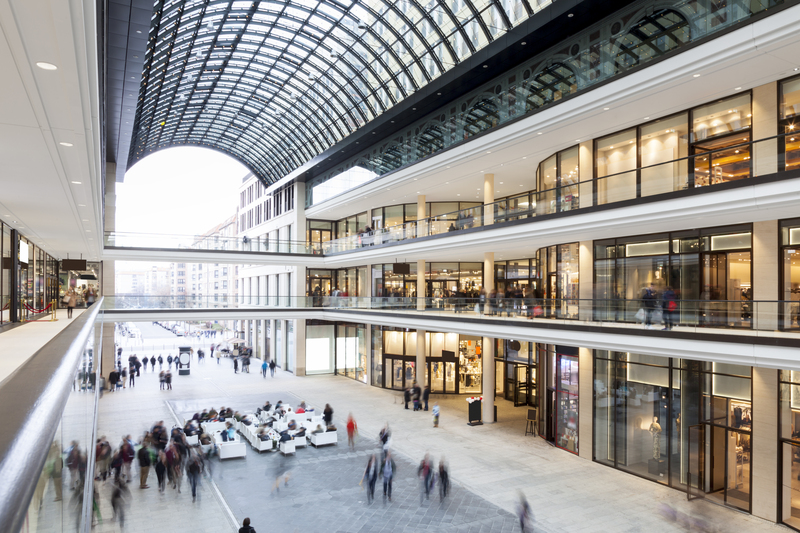 Our representation of KeyPoint has included the leasing of retail, industrial, and mixed use residential properties in Connecticut, Massachusetts, New Hampshire, and Rhode Island. Ongoing representation of Eastern Real Estate Capital, a privately owned real estate investment company that invests in commercial and retail properties throughout the country. Our representation of Eastern includes review and negotiation of purchase and sale agreements, leases and ground leases, joint-venture agreements and financing documentation, and regulatory and risk assessments.